Great oceans, language and culture divide us, but food brings us together. The Exotic Fruit Collection is so called after falling in love with the South American culture, a culture missed by Australian media houses. Introducing Abiu, Acer, Acai, Akee, Atem and Anis - the famous berry fruits of South America. 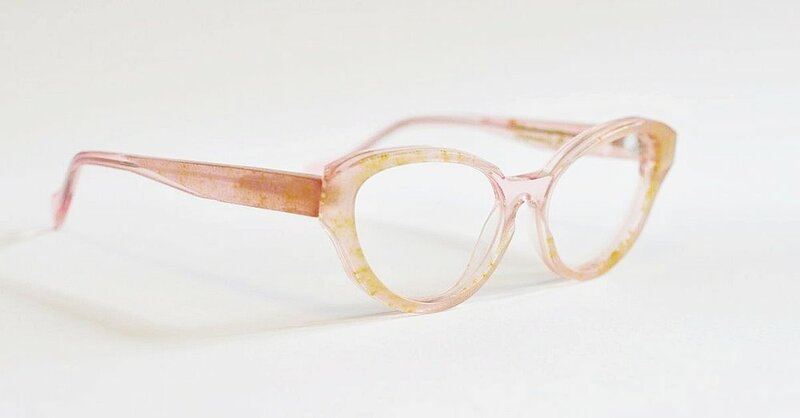 Designed with pragmatic style in soft crystal pastels with layers of randomly dispersed glitter or serious pin stripes for the geometric astute. 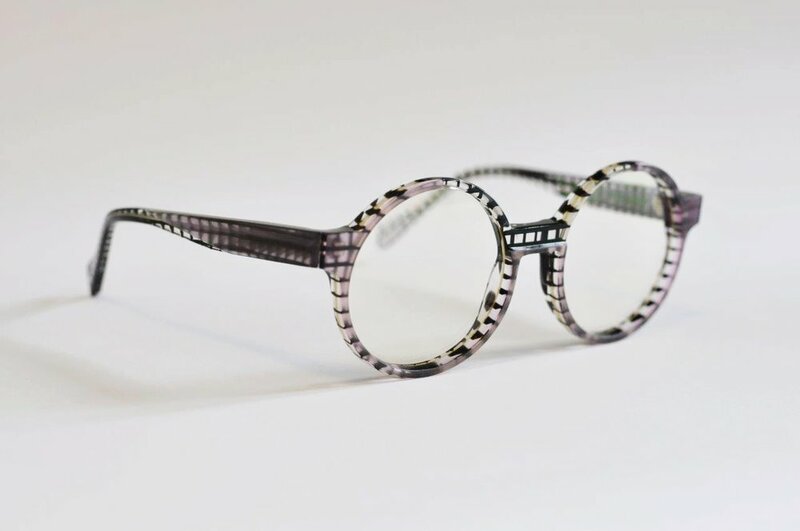 Inspired by nature's beach play as waves form out of a flat ocean, the Shear Scallop collection is a lively design that carves the surface of the frames to create drama and light. 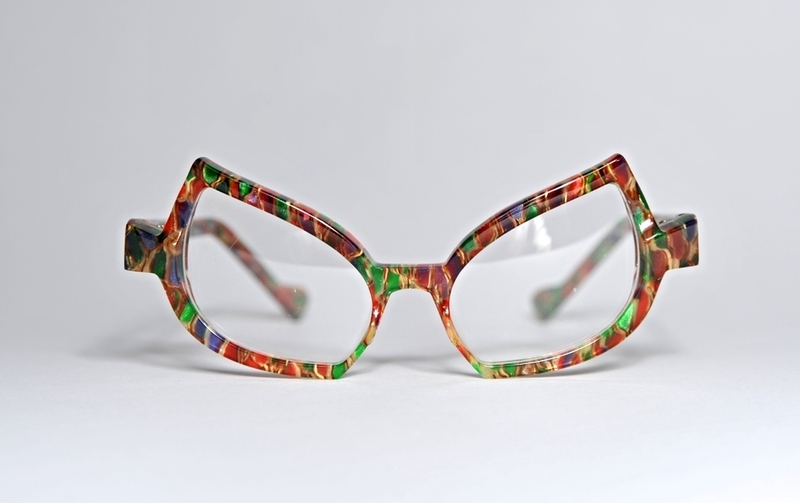 With special custom made tools to form each frame, only the shapes of the frames themselves are more spectacular - that and the amazingly vibrant acetate. Certainly not for the faint-hearted, yellow-bellied, weak-kneed or pusillanimous - but if you're reading this aboard The Maltese Falcon without land insight, riding the Vivek Express or just generally trekking to Machu Picchu, then this collection is for you. 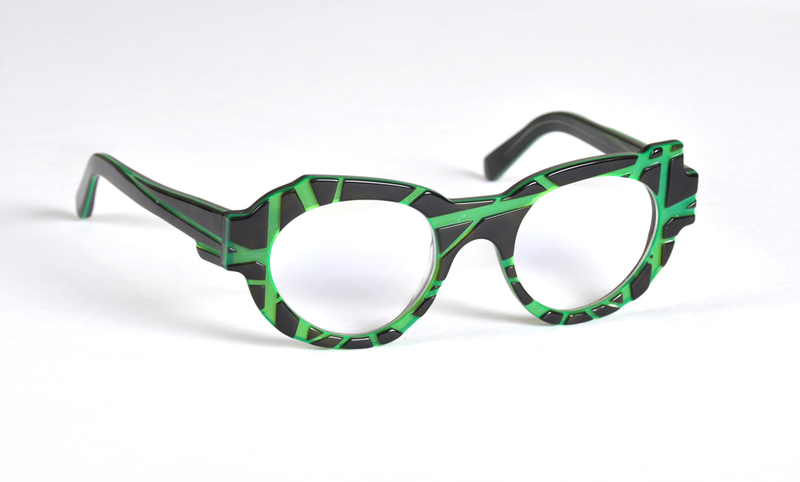 The Hyperfocus collection was born from the intense energy and inspiration of those restless mavericks pushing the boundaries of society, they don't come along often, but when they do, they really shake things up. These captains of industry were the Da Vinici, Picasso, Clemens, Tolstoy, Tesla, Dylan and Dahls of their day, somewhat mis-understood and even persecuted in their time. Today they inspire our mavericks, the Zuckerberg, Page, Brin, Monk, Tao, Payne-Scott, Eco, Popova, Jobs et al - their common thread, a polymath interest in all that progresses for all, the benevolent dictator. 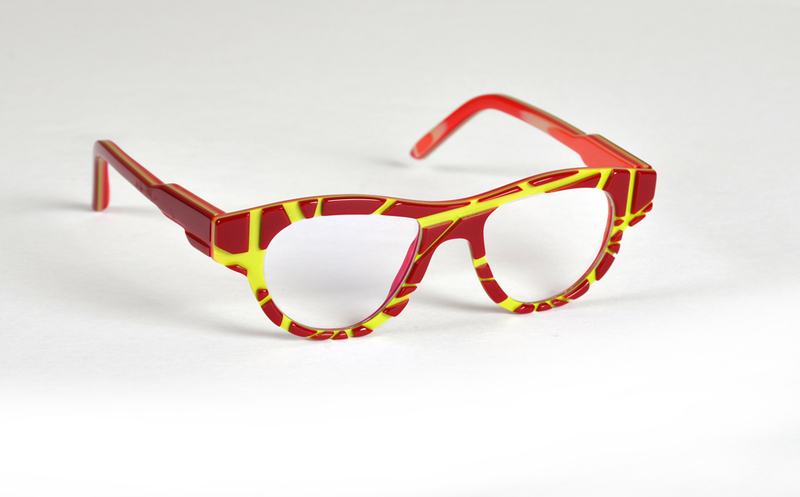 Design is the true hero in this collection of acetate eyewear. 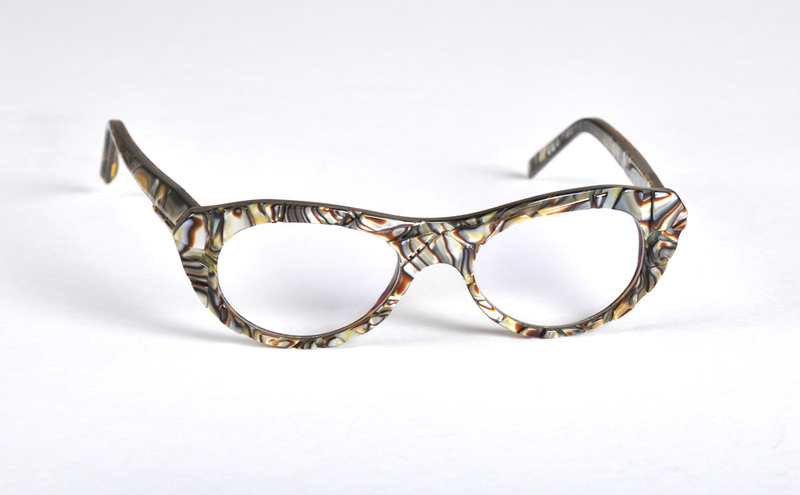 The frames are hand sculpted and finished in France with a combination of matte and piano polished finishes. The dynamic 3D form of the frame is not apparent from the frontal silhouette, the distinctive verandah profile is only perceivable from side, stopping people to notice. 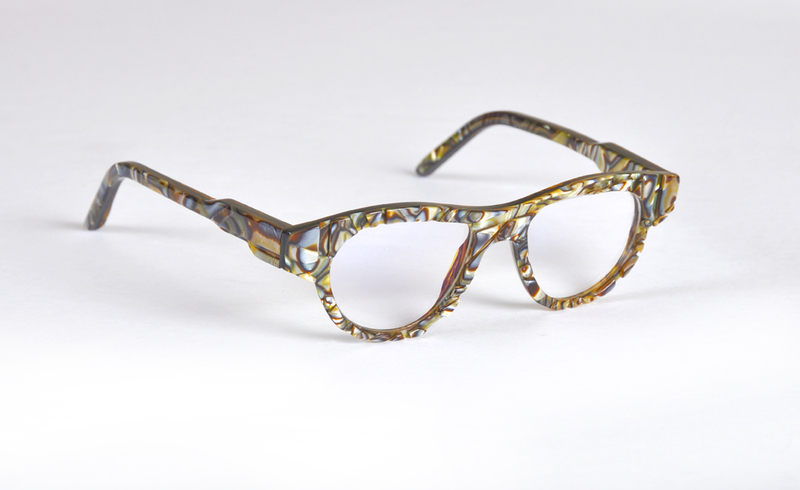 The acetate patterns and texture are beautifully showcased in the unique 3D design. The result is confronting in its flattery. Niloca's latest collection is the range of truth. 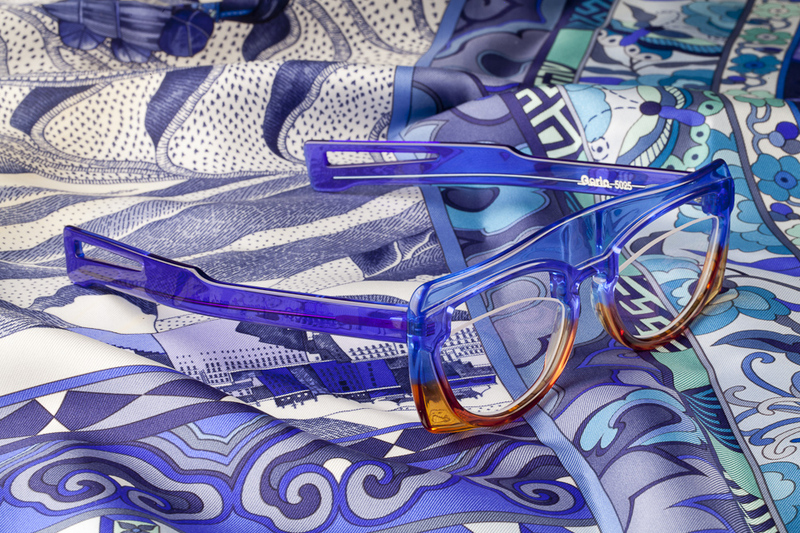 A revealing collection for the reveling rebelling connoisseur of progressive eyewear design. There is nowhere to hide with this range, what lies beneath your surface is now exposed in this latest collection - Scratched Core. 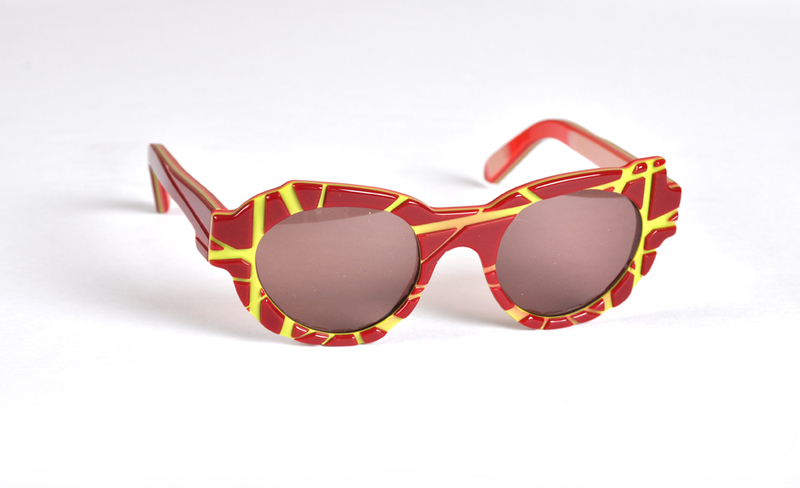 Available in both Optical and Sunglasses. In a time where an online finger-print is crucial for any online activity, Covert offers reprieve for fun times against the fun police. As Sidney would attest, you need a presence, but not a catalogue of yourself for others to paw over. Context and Covert go hand-in-hand so you can have fun, without the annoying paparazzo trying to cash-in with telephoto false accuracy. 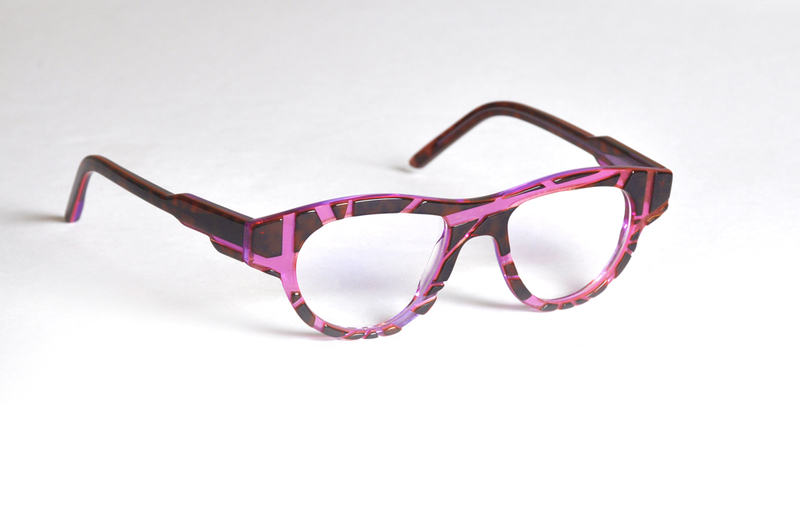 Covert, designed to be bright and fun, but still sophisticated and stylish. These glasses will not self-destruct. 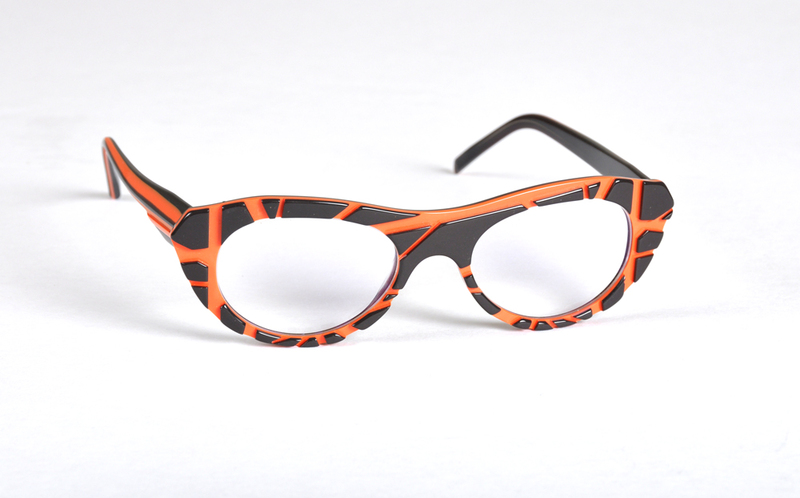 These glasses will not self-destruct in 10 seconds!! 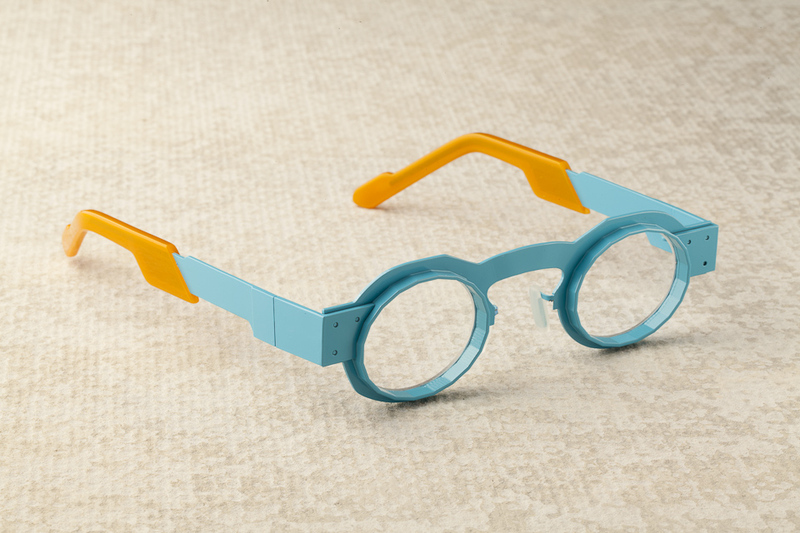 There’s nothing worse than travelling through time without the right eyewear or eyeware. 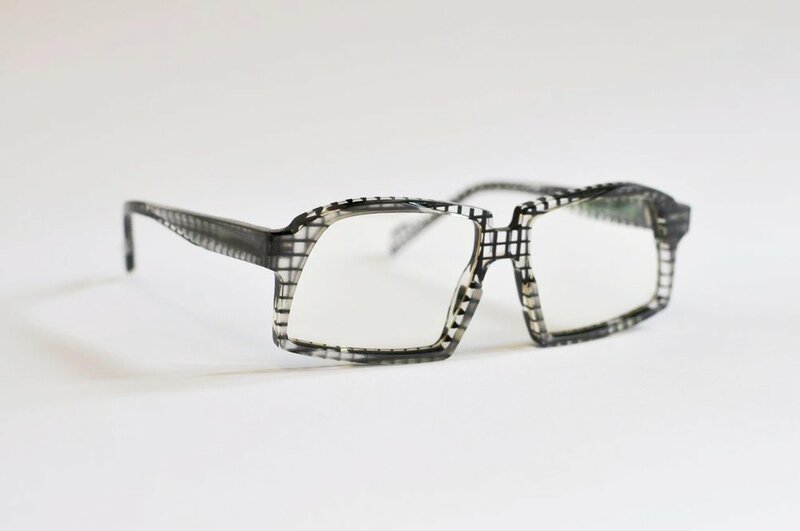 Past, present, future - Niloca has you covered with an overtly pragmatic titanium projector frame, to out fashion any ‘ista on any ‘walk. 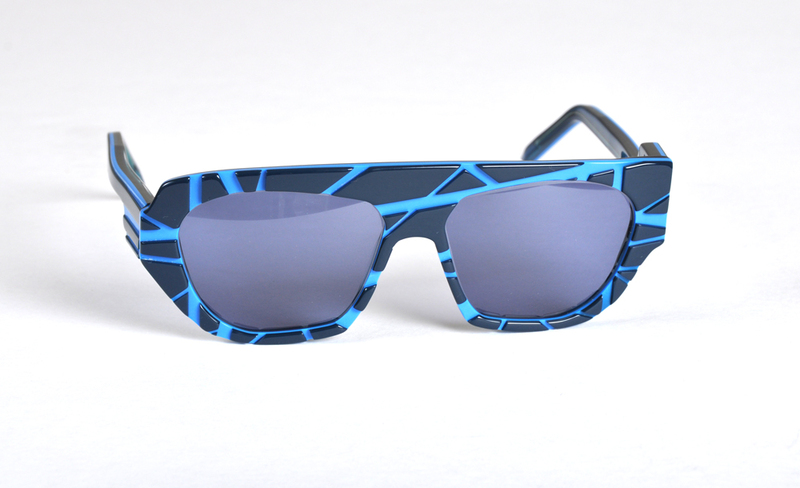 Before your next blue police box adventure (or DeLorean), bring along a pair from the Bigglesworth collection (currently only available in Clockwork). You are guaranteed to completely blend in, by either being too confident or just part of the crowd. The Bigglesworth collection is hard, edgy and a little bit brutal, made from exotic materials gathered from our own trip across the continuum. Designed in Melbourne, with a tip of the bowler hat to timelessness. 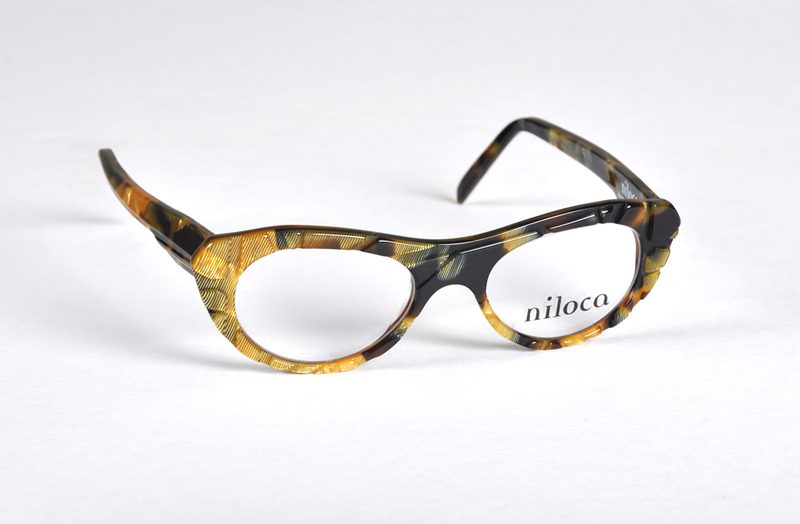 Join, Follow, Like, Pin and Watch Niloca Eyewear.